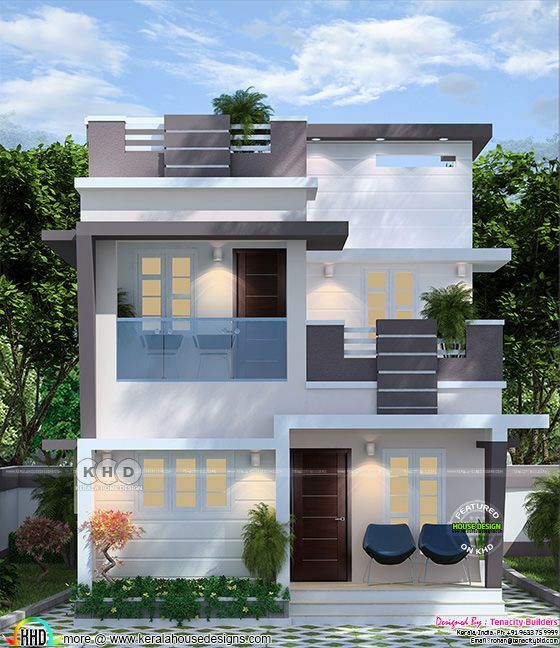 1220 Square Feet (113 Square Meter) (136 Square Yards) 3 bedroom simple moder double storied house at Aluva, Kerala. Design provided by Tenacity Builders, Cochin, Kerala. 0 comments on "Simple modern double storied home 1220 sq-ft"